Feel free to download any of our presentations for your personal review and comments. 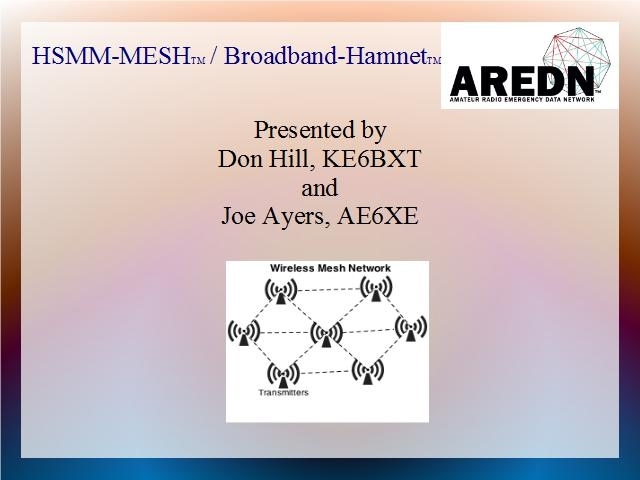 If you would like to use one of our presentations for your club meeting or presentation, please contact either Don Hill (donhill@gmail.com) or Joe Ayers (ae6xe@arrl.net) prior to giving your presentation. If you would like to put a link to one or our presentations in your club newsletter or article, please make your link to this page (or http://ocmesh.org) rather than directly to the presentation. Thank you.